Top Spot on Google: Tougher than an Olympic Gold Medal? Winning an Olympic medal is an amazing achievement by athletes who have dedicated years to win the highest honor in their chosen sport. 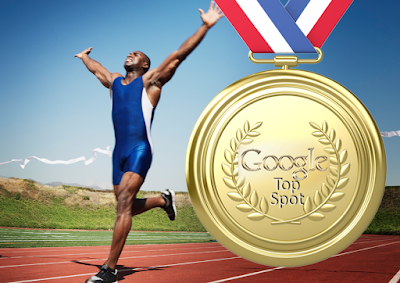 For businesses, the Top spot on a Google search in their product or service is now viewed as their digital Gold Medal. With talent, proper training, great coaching, and perseverance over time, finishing in the gold for an Olympic athlete is possible. Getting to the top of a common Google search may not be tougher, but it certainly isn't as straightforward. Longevity weighs heavy in Google algorithms for search engine results page (SERP) placement. If you have been established selling your product on the web longer than anyone, that bodes well for you.